The plant-based restaurateur behind By Chloe has been taking the health food world by storm for a decade and opened up a new pop-up with celebrity chef Tom Colicchio this week. Within days, she’d entered into a new lawsuit against the owner of By Chloe. 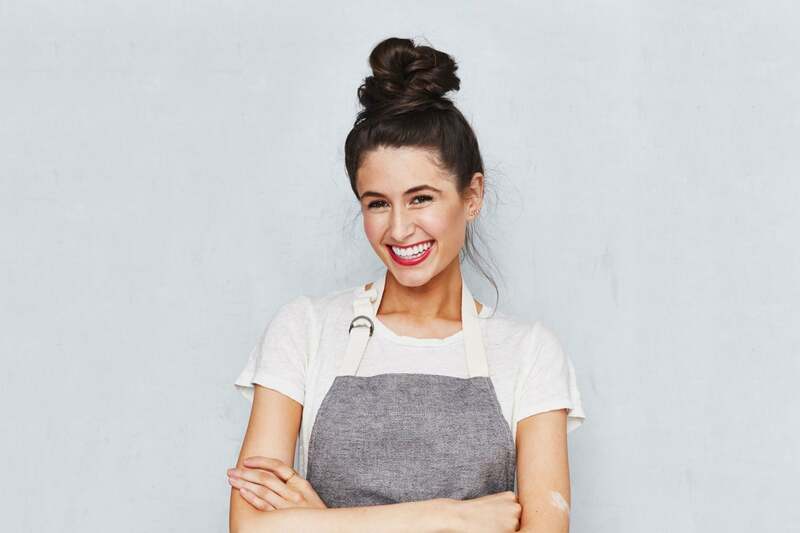 One Thanksgiving in the early aughts, fledgling vegan Chloe Coscarelli set to work in a California kitchen creating plant-based holiday dishes for the first time. She and her mother cooked up a lentil-nut roast with vegan gravy, an assortment of sides and even a sweet potato casserole, then placed their concoctions amongst the more traditional options on the table as family members began to scoop helpings onto their plates. Within minutes — before Coscarelli could even serve herself — she recalls all of the vegan plates being emptied. Since that day about 15 years ago, Coscarelli has become a veritable institution in the plant-based food world. She’s released four cookbooks, appeared on television programs including NBC’s TODAY and opened restaurants, such as Chef Chloe and the Vegan Cafe in Miami. Coscarelli regularly shares recipes and updates on her Instagram account, @ChefChloe, and has amassed more than 162,000 followers on the platform to date. For Coscarelli's most recent project, she with celebrity chef Tom Colicchio on March 12 to open an all-vegan pop-up shop, Supernatural, at Colicchio's Craft NY space that should be open until the end of the month. Within one day of opening, BC Hospitality Group LLC, which owns By Chloe and is controlled by ESquared Hospitality, served a threat letter to Coscarelli and Colicchio accusing them both of federal trademark infringement. On March 14, Coscarelli and Colicchio filed a lawsuit against BC Hospitality Group. The document, which was reviewed by Entrepreneur, reads, "BCHG alleged that Chloe’s role as a vegan chef violated an old contract that had been in place when she was involved with 'By Chloe.' According to BCHG, only BCHG is allowed to run a vegan restaurant that involves Chloe’s name, face, or likeness. Put another way, BCHG has threatened that Chloe — herself — is not allowed to be associated with a vegan restaurant anymore." In light of her team's assertion that she can't yet speak about active litigation, Coscarelli spoke with Entrepreneur about motivation, work-life balance and the quantifiable effects of pairing business with social good. When you started out, veganism wasn’t yet part of the popular food landscape, and there were probably a lot of naysayers. What’s your top tip for motivation? As an entrepreneur, you can start with a mission you feel passionate about, but you can really get bogged down by all the obstacles thrown at you. It’s easy to feel disconnected from your initial motivation when you’re just trying to put out fires every day. For me, reminding myself why I started or just taking a minute to remember my mission — to show people we don’t need to hurt or exploit animals in any way to have delicious, satisfying, fun, filling food — was really helpful for me. I also remind myself that my mission is so much greater than just me, so even when I feel like a lot of obstacles and challenges are coming my way, I tell myself that that’s not really why I began on this journey. That keeps me excited. What’s your take on work-life balance? Do you believe it exists? I‘m always so driven by my mission that I could work all through the night. Sometimes I have to actively try to put my mind to rest and not think about work for a certain amount of time during the day. A lot of my close friends and family tell me I need a vacation, but I feel like that’s not what I need — I need a little more time in the day to do what I feel excited and passionate about. I also feel like when you have momentum and you have a time period to be working on a goal of yours, sometimes you don’t want to look back and think you only gave it 97 percent. Right now, I’ve allocated this time in my life to focus fully on work, and in the future, maybe I can rest, relax and learn a little about sleep. You’ve said before that your career is driven by a higher purpose: advancing veganism. In your experience, how can a commitment to social good lead to advanced success — and are those benefits quantifiable? There’s so much information right now about the impact of our choices as consumers, and every year, those younger than us are more and more interested in and excited about making conscious choices that make them feel good. That’s been incredible for business because companies are finally taking notice that it’s not just about selling as much of a product as possible for as cheap as possible. That’s not what’s going to make their companies popular anymore. Taking a stance is something that’s important to consumers, and it does have business benefits. Also, we’re in a climate where authenticity is king — or queen, I should say. Consumers are sharp, and sometimes they can tell when a big company doesn’t have a track record for caring too much about a conscious choice but tries to use marketing language to make it seem like they do. People can tell when there’s actually a mission behind a product or business, which is great. Consumers are keeping businesses and entrepreneurs on our toes and pushing us to do better, which is a really healthy relationship between business and consumer. Your use of social media, specifically Instagram, has played a part in your success. What’s your top tip for a budding company or individual entrepreneur looking to capitalize on their online presence? As far as my personal perspective, I keep it natural — I run it myself, I write things in my own voice and I don’t have many goals with it. It’s just my way of communicating with my community, and I try to keep it as real, honest and open as possible. Sometimes it’s hard because you think about people you know reading it, but for example, I shared with my community on Valentine’s Day that I was single and hanging out with my cat, and I hope other girls doing the same thing saw it. Another tip comes from my brother: Sometimes you’re going to get negative comments or naysayers, and you don’t need to troll around and talk back to people or delete comments. I don’t censor my community. If there’s something on there you don’t like, let it be an open forum and let your community defend you. I feel like that’s served me well because people don’t feel like they’re in a controlled environment. It’s an open dialogue, and whether people love or hate what you’re putting out, everyone can speak their mind. What’s your best advice for first-time entrepreneurs looking to break into a hot market? If you believe in it, go for it. At the end of the day, you can never look for validation from the outside world on anything that you’re doing. I’ve tried to seek validation from people on what I was embarking on, like vegan food before it was popular or accepted, and people give you all kinds of advice that’s only based on things they’ve seen before. So if you’re someone who’s trying to do something that’s never been done before, you have to put your blinders on in a way and shut out people’s advice. Sometimes, when you seek advice on something that’s never been done before, people are really scared for you — then you do it, and people say, "Oh yeah, that was a no-brainer." But no, everyone doubted me. Once you’ve seen something done, it’s easier to get behind it. A lot of people said to me, "Your timing was perfect with the trends," but I wasn’t planning on timing. I’ve been vegan for about 15 years now, and when I went vegan, kale or quinoa wasn’t something you could just buy at the supermarket. I’ve been laboring on this mission for over a decade, so if you’re a young entrepreneur and you’re starting something that you don’t see yet or that hasn’t been done, don’t get discouraged. It may take a really long time before you can really push through to your goal, and that’s OK — that’s even more incredible. See below for five of Coscarelli’s favorite posts.